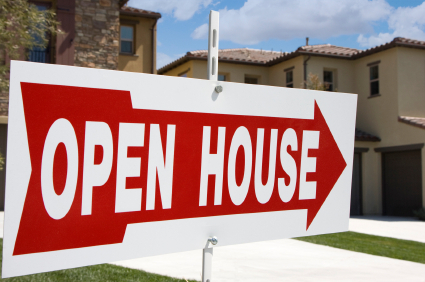 Potential home buyers rely on open houses to help them find the home of their dreams. This weekend buyers can have a greater chance of doing just that during Realtor® Nationwide Open House Weekend, which is organized by state and local Realtor® associations across the country. This Saturday and Sunday, April 28-29, Realtors® from coast to coast will host thousands of open houses while engaging consumers on the benefits of homeownership and bringing buyers and sellers together. Lexington Massachusetts is participating in this event. Look for local open houses this weekend or check with your REALTOR. Moving to your new Lexington MA home can be stressful on your pets, but there are many things you can do to make the process as painless as possible. 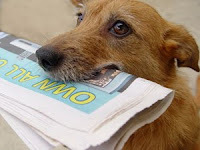 Experts at The Pet Realty Network in Naples, Fla., offer these helpful tips for easing the transition and keeping pets safe during the move. 10. Learn more about your new area. Once you find a new veterinarian, ask if there are any local health concerns such as heartworm or Lyme disease, or any vaccinations or medications your pet may require. Also, be aware of any unique laws. For example, there are restrictive breed laws in some cities. Homeowner associations also may have restrictions — perhaps requiring that all dogs are kept on leashes. Sell Your Lexington Home with These 5 Tips! Selling your Lexington home this spring may seem like a daunting task with new homes coming on the Lexington Real Estate market each week. However, with a little work and help from your Lexington Real Estate agent, you should have no problem making your home stand out from the competition! In fact, selling your Lexington home can be a very smooth process if you’re willing to price it right and be flexible with buyers. Since they have the upper hand in the current buyers’ market; they’ll be looking for a home that’s move in ready and a good deal. Your Lexington Real Estate agent will help you determine a fair selling price and how to move seamlessly through the home selling process. Here are a few home selling tips you’ll want to review before you begin! 1. Research- While your Lexington Real Estate agent will provide you with comparables of what other homes in your neighborhood are selling for, taking the time to do a little research on your own will help you prepare for what you can expect. Take note of home prices in your area and what upgrades those homes have to offer. 2. Fix it Up- You’ll want to know what needs to be fixed before buyers begin looking at your home. Having a “pre-inspection” by a home inspector will allow you to fix any necessary repairs so that they don’t come up in the buyers home inspection. This can help speed up the process once you find an interested buyer. 3. Act Like a Buyer- If you were looking at your home as a buyer, what would you see? Are there any updates you’d want to make such as paint, appliances or finishes? 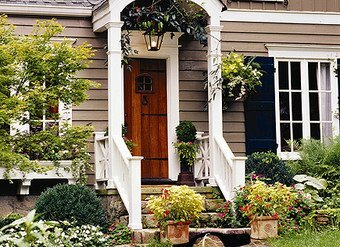 Acting like a buyer for your own home will give you insight into what you can do to make your Lexington home more attractive to buyers. 4. Make it Move In Ready- Today’s buyers have the option to be picky and many want a home that’s move in ready. Your home will need to have those key factors that are now considered standard in a Lexington home such as granite countertops and stainless steel appliances. 5. Price it Right- This is a key factor that cannot be stressed enough. Pricing a home correctly from the beginning will help you sell your home more quickly. Your Lexington Real Estate agent will work with you to show you what other homes are selling for and to determine a fair market value for your home. If your home is priced too high, it will sit on the market and you’ll eventually have to lower your price. If you decide on a price that is the lowest you’d like to go, be prepared to offer buyers other incentives such as closing costs or a flexible closing date. As always, I’m here to help in any way I can! I know jumping into the Lexington Real Estate market is a large decision, and I would be happy to answer your questions and walk with you each step of the way. I look forward to hearing from you and helping get your Lexington home sold! Raising Lexington - Enjoy Spring with Your Kids! Unlike most of America, my resolutions usually start around early spring, when my bulky sweaters give way to lighter more revealing wear. It is then when I realize my workout routine needs to be stepped into high gear and my diet tightened up if I don’t want to be laughed off the beach in my bathing suit. But now that I am a mom, spring has taken on a bigger and, yes, better meaning. Now spring is about reconnecting and remembering what’s important in my life. The best way to reconnect with my kids is spending time outside. Plenty of us have people to come and clean up their flowerbeds each spring and fall, but honestly it’s a really cool way to discover spring and bond with your kids. Last week when we all started to realize this is going to be a very early spring in New England, the kids and I went exploring around our property to see what we could find. 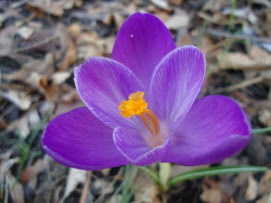 My son had already discovered spring's first flower, the crocus at his school, and was eager to see if we had any. Finally, after pushing away last fall’s dead leaves we found them peaking through the Earth ready to show their happy petals. My kids screamed with joy, literally. Suddenly they wanted to clean out our entire flower garden. Out came the rakes, gardening gloves and trash bags. They even discovered a bee and a butterfly in their cleaning. My daughter got out some paper and crayons and drew all of the flowers she found in our young garden. While having our first al fresco dinner the kids noticed two robins frolicking about in the yard. My son did his best “sneak attack” on them and got pretty close. It made me so happy to see them so interested in the flowers, insects and birds welcoming spring. I know at some point they will take these first signs of spring for granted, but for now they weren’t and they were reminding me not to either. Spring is a great time to rediscover your town, too. We’re still feeling pretty new in our area so we love these warm days when we can walk to town, go biking and get to know our neighbors. When your kids see that you are invested in your town and school they feel invested too, and that sense of pride goes a long way. I went online and found out all of the fun activities happening in our area and had my kids make a list of which ones they wanted to do. My daughter marked it on her calendar and my son is already counting the days until the weekend. From parades to library events to a visit to the local fire department, with longer days and warmer temperatures there isn’t an excuse not to get out with the kids and check out your town. But it is New England, after all, and weather around here changes like my mood (a lot) so always best to have some indoor spring activities on hand. While my daughter was busy changing out the window decals from winter to spring my son and I weeded through last year’s summer clothes to see what still fit. I think we all know the answer to that question: Nothing fit! So we made several bags of clothes to donate and my son got his turn at writing a list of what we needed to buy for spring. Somehow the list included Legos, which I wasn’t aware was a clothing option. In an effort to keep what little sanity I have left, I pulled up some online clothing stores and the kids had fun picking out some clothes they’d like, which I will get while they are in school. I wasn’t born yesterday, after all, and the thought of bringing two young kids to the mall to clothes shop ranks right up there with a scrubbing the toilets. So, jump into spring with your kids and reconnect with them in whatever fashion works for you. It doesn’t have to be elaborate or expensive, just fun and honest. Remember what it felt like to be a kid when you could finally go out and play after dinner because the sun hadn’t set yet? It’s heaven. Maybe you should join them and go for a walk, throw the Frisbee or watch the birds. All the things you have to do around the house or for work can wait but childhood doesn’t. By Audra Myerberg – Lexington Patch. About this column: A bi-weekly column exploring the triumphs, trials and travails of parenting. 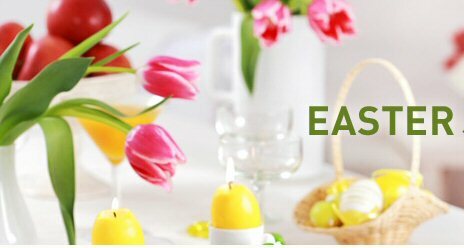 Easter is fast approaching, have you made plans yet? If not here are some ideas to fill the day in the greater Lexington MA areas. Enjoy. Need to walk off that big meal you just ate, why not visit a zoo! There open. Visit Zoo New England for more details.